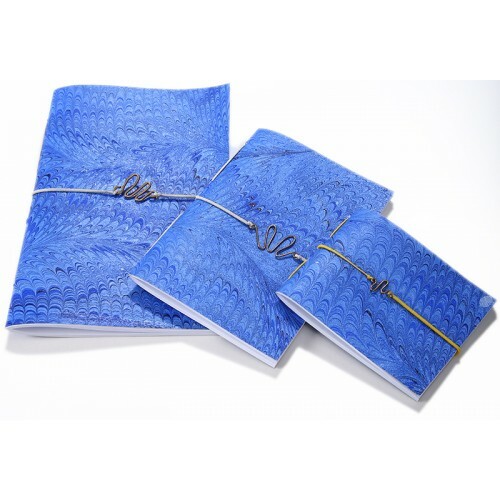 Blue notebook set with paisley marbling technique is designed and all hand made by artist Nesime Kantar. 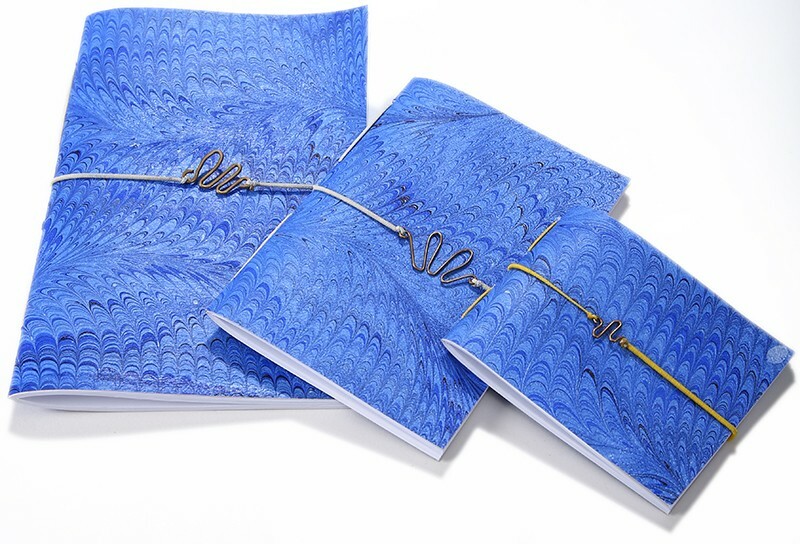 The cover of the notebooks have the marbling art, book binding hand made. The workshop neighbour to Galata Tower opened its doors in 2009. In the workshop where modern marbling art takes place along with the traditional, classical marbling art lessons and workshops are organized. 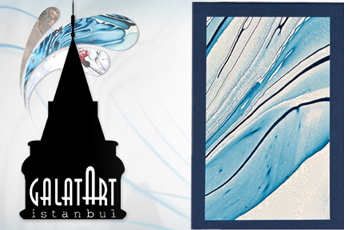 The workshop which provides the opportunity to meet a modern art along the historic fabric of Galata Tower also hosts many marbling art masterpieces from traditional to modern, from paper to wood and stone. Partners of Galatart Nesime Kantar and Ezgi Turan started their works of marbling art with Ayla Makas in Caferağa Madrassa, in the year 2000. Nesime Kantar who graduated from Mimar Sinan University Faculty of Sociology took classical paper and book conservation and photography lessons from Muammer Yanmaz.. Along with the marbling art lessons, Ezgi Turan who studied Economics in İstanbul University took classical paper and book conservation and ceramics lessons in Gül Erali Workshop. She was invited to Kars Culture and Art Festival in 2005 and 2010 and to Karadeniz Ereğli Art Association in 2006 as the guest artist, and founded workshops. Both artists attended to numerous group and personal exhibitions.